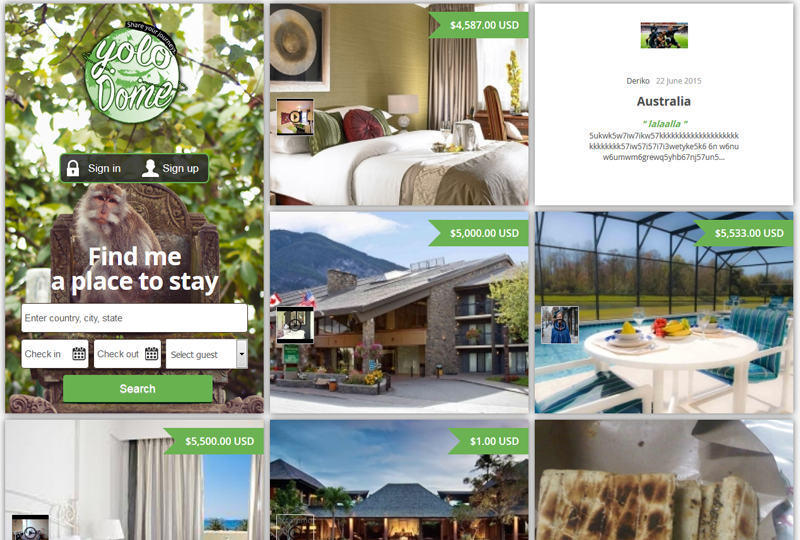 Yolodome.com is an online travel website that provides users with facility to book a place to stay. Users can search for suitable rental places across the world. This website provides different categories of places from apartments to bungalow. Users are provided to search & select place to stay using filter options i.e. search place according to rooms, price, location, facilities, space etc. Users can select & book their appropriate accommodations such as boat, house, hut, tent, villa, castle and many more. User needs to register himself to book a place or can simply login, if already registered. Yolodome has chosen us for our ability to develop complex websites and providing efficient solutions with logical approach to the requirements. The website has only single version that is running successfully from the date it was released. We continue to provide expertise and services in support of Yolodome’s ongoing program of website development.